Among the great hillside and mountain-grown Cabernet Sauvignons of the New World, Howell Mountain is legendary for the profound structure and sophistication of its wines. It is an area so unique that it became the first sub-appellation designated entirely within Napa Valley. 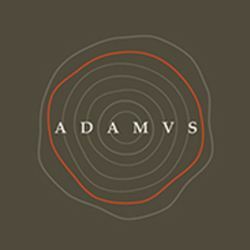 Located on the high slopes of Howell Mountain, ADAMVS is dedicated to honoring this renowned terroir and crafting timeless mountain-grown Cabernet Sauvignons. Denise and Stephen Adams discovered the idyllic property that would become ADAMVS in 2008. In its mosaic of five vineyard sites, iron-rich red soils, ideal elevation and diversity of vineyard exposures, they saw the perfect convergence of geology and geography. To realize the promise of ADAMVS, and the goal of establishing a new benchmark for excellence on Howell Mountain, they gathered together a small team that includes legendary viticulturist Michael Wolf (Scarecrow, Bond, Beckstoffer), consulting winemaker Philippe Melka (Chateau Haut-Brion, Chateau Petrus, Dana) and winemaker Jason Valenti (Paul Hobbs Wines, Kosta Browne). Denise and Stephen also began cultivating their mountainside vineyard biodynamically and organically, ultimately achieving biodynamic certification. Grounded in a respect for nature, they chose this approach for its integrity and attentiveness.